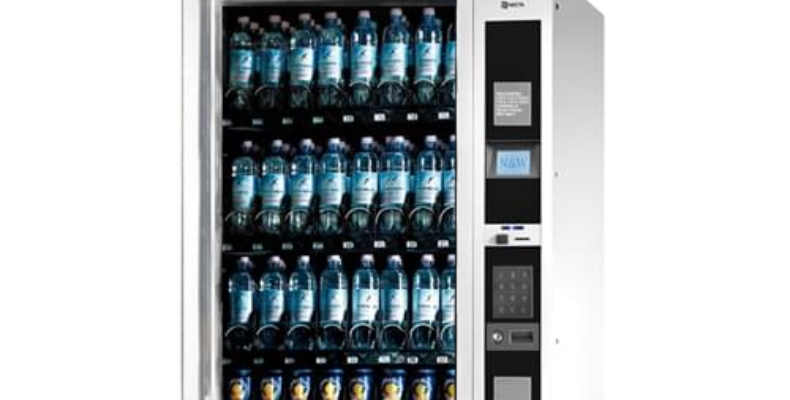 Vending machines are a popular investment for many universities and colleges up and down the country, equipping staff, students and visitors with anything from coffee, snacks, fruit or water, to useful necessities like stationery and female hygiene products. These readily accessible machines not only provide a steady source of revenue for the educational institutions, but they also conveniently meet the needs of faculty and students at all hours of the day. Having a cutting-edge vending machine within your establishment is now easier than ever before, with many cost-effective buy, rental or leasing agreement packages available across the UK. But, with plenty of good value vending machines on the market, knowing what features to look for to best suit your institution’s requirements is important. Here, we discuss the key points to consider before investing in a new machine for your university, including volume output, machine contents, whether it will take payment, and the service and maintenance required. The most sensible and cost-effective practice is to invest in a machine that is capable of handling the demand required of it. As such, you should begin by determining how many people are likely to use the machine, on average, each day. This will help narrow down your search, as different machines are appropriate for different output volumes. For instance, with regard to coffee vending machines, table-top machines will be the most suitable for small spaces, like staff rooms and back bars, as these cater to small outputs. Floor-standing vending machines, on the other hand, are better suited for busy, central locations, such as student halls or faculty receptions, since these are capable of producing higher volumes of drinks each day. While not all vending machines offer the ability to take payments or to free vend, the majority do. It is, therefore, a good idea to determine whether you want your machine to accept cash, cards, contactless payment, or no payment at all. Perhaps you will only require students to pay for drinks or snacks? If so, you may want to consider leasing a machine that has the ability to take staff tokens or keys in lieu of payment. 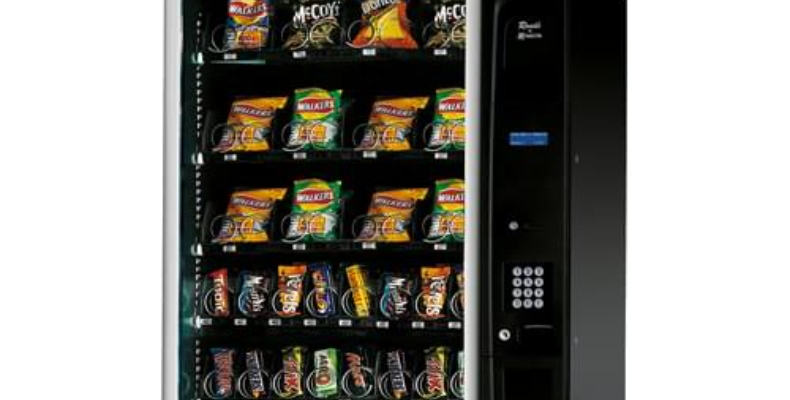 Vending machines are not just limited to food and drink; in fact, you can rent, lease or buy a machine for almost anything these days, with many being able to accommodate a range of specific requests. For instance, you might want three rows of crisps and confectionary, with the remaining rows bottles of water, or perhaps you want the whole machine to offer only healthy, nutritious snacks in order to promote a better lifestyle on campus. Alternatively, ordering a machine that will be able to offer students and faculty useful everyday necessities, like hygiene products, stationery or condoms, might be better suited to your requirements. The choice is yours, and most suppliers will be able to tailor their vending solutions to suit a client’s specific needs. Generally speaking, the most expensive, hi-tech machines require regular maintenance and will cost rather more to keep in good working order. Likewise, machines with inbuilt filters require frequent maintenance, as the filters must be replaced after some time. With regard to machines whereby there is no mixing of ingredients, such as filter coffee machines, these are easier to maintain. That being said, all machines require some upkeep and should only ever be installed by a professional who knows what they are doing. The best vending suppliers tend to offer leasing agreements, which include installation, stock-control and maintenance and servicing, as part of the overall package. Be sure to check what your supplier includes within its product package in order to guarantee you are getting a valuable long-term deal. If you are a university or college who is interested in installing or improving your vending solutions, contact Logic Vending on 0808 278 4652.